An undocumented worker severed his fingers down to the bone when he was cutting concrete blocks. 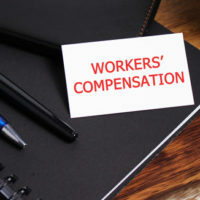 When the injured worker reported the injury to his supervisor as is required under Florida Workers’ Compensation law, he was fired. And, to add insult to injury, his boss reported him to the U.S. Immigration and Customs Enforcement agency (ICE). He is now facing deportation. Employers all across the state take advantage of undocumented workers by accepting fake identification documents from them and work them to the bone, and then, when they get injured, they call immigration, thus eliminating a claim and premium hike from their insurer, as discovered by a yearlong investigation conducted by Naples Daily News. It is illegal for an injured worker to use a fake Social Security number at any point during or after filing a workers’ compensation claim, according to Fla. Stat. 440.105. According to National Public Radio (NPR) and ProPublica, 800 undocumented workers, who are generally employed in the most dangerous types of jobs such as roofing, have been charged with felonies for their use of false Social Security numbers when they file for workers’ compensation benefits or when applying for jobs even though the vast majority pay their taxes using an ITIN number. Does Florida Allow Undocumented Workers to Obtain Workers’ Compensation Benefits for Injuries? The political climate has not been this uncertain for undocumented workers and their families for generations, and we understand the fear and pain that an injured, undocumented worker may be going through. Whether you file a claim or decide not to, out of fear of criminal charges and deportation, we can help you with the decision and weigh in on your options. The compassionate workers’ compensation lawyers with the Celeste Law Firm are here to help in every way that we can.